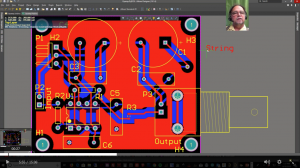 As a courtesy, ECE Florida provides training documentation and video tutorials for students using Altium Designer. These popular videos, hosted by Senior Design Instructor Mike Stapleton, provide real-world training in plain language. Training videos are now hosted on Dropbox. Use this link to access the training videos.